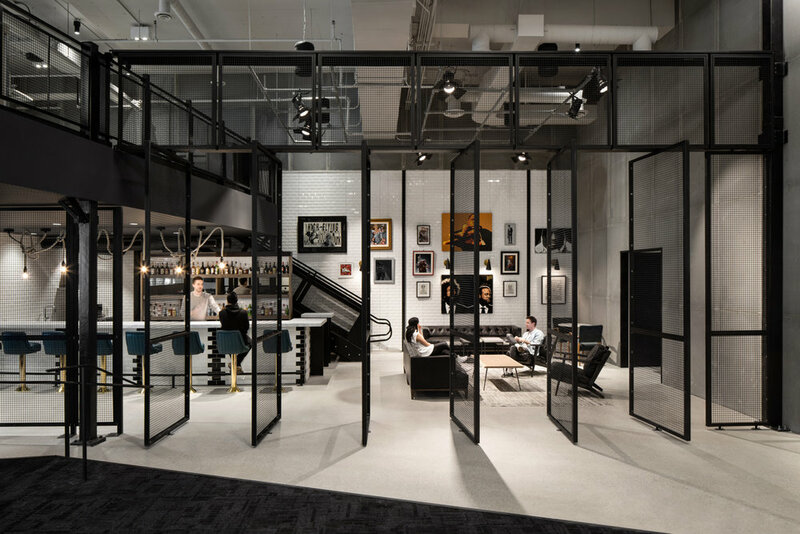 Established in 2010, Lebel & Bouliane (formerly Architects Luc Bouliane) is a full-service design firm focused on academic buildings, commercial interiors and custom residential projects. Our strength lies in finding innovative, beautiful, and contemporary solutions for new or renovated mid-size building environments. Our belief that buildings are part of our living cities, neighbourhoods and campuses, requiring seamless integration to their context, an intense sense of place and purpose, with an integrative approach to sustainable building solutions. We seek clients who want to actively engage their built environment and create a cultural experience of space, community and purpose — and we take great pride in being a part of achieving it together. Established in 2010 by Luc Bouliane and Natasha Lebel, Lebel & Bouliane (formerly Architects Luc Bouliane) is a full-service design firm focused on academic buildings, commercial interiors and custom residential projects. Our strength lies in finding innovative, beautiful, and contemporary solutions for new or renovated mid-size building environments. Our studio’s core belief is that form — derived from narrative or story — is a catalyst for culture, collaboration and creativity, and the spark for an intense sense of place and purpose. Our belief that buildings are part of our living cities, neighbourhoods and campuses, requiring seamless integration to their context and an intense sense of place and purpose, with an integrative approach to sustainable building solutions. We collaborate with clients who are willing to push for bold, innovative and unique solutions. The result is a body of built work that sets us and our clients apart, demonstrating passion for architecture that sparks personal and collective growth, embraces creativity and makes ‘places’ that adapt to the bold and imaginative people they embrace. Noted as one of Canada’s most innovative emerging practices by peers, this year Luc received the RAIC’s Young Architect Award, as recognition for the diversity and quality of the his and the firm’s work. Our architecture has been recognized in Canada and the US, and received awards and mentions from the OAA, the American Stone Institute, Canadian Architect and Interior Design Magazine, with more exciting news to come in the next few months. Our extensive residential portfolio has been widely published and garnered several awards. Our architectural practice also includes award-winning interiors and new builds for creative agencies and cultural institutions such as libraries, museums, theatres and galleries. It is with genuine passion for architecture that we practice our art, and we share this passion with the engineers and experts who work closely with us. Our studio of talented architects is very open-minded, friendly and dedicated to design excellence and execution. Our design process is inclusive and open at every step of the project. We seek clients who want to actively engage their built environment and create a cultural experience of space, community and purpose — and we take great pride in being a part of achieving it together.